Registrations in the first year of DBE may be carried out, strictly and without any other conditions, by the final deadline of 31 December 2018. 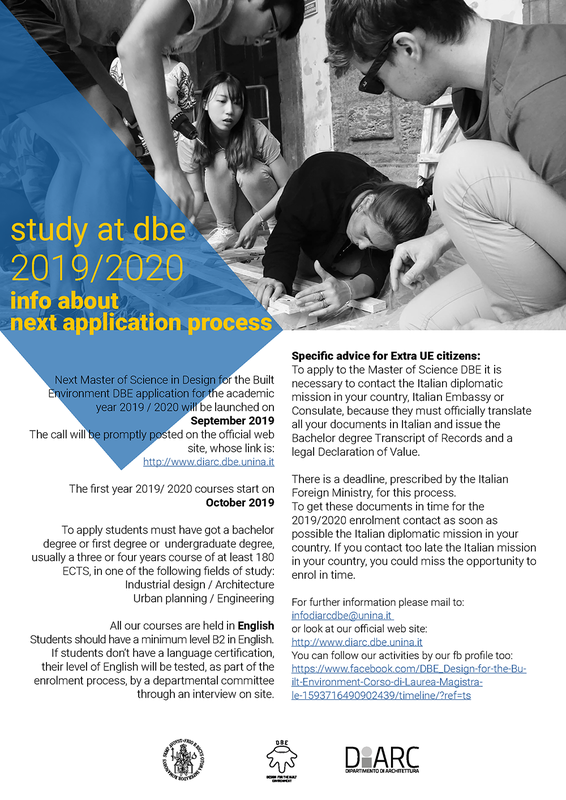 Students who, on the other hand, do not obtain the three-year final title within the month of December or who do not enroll within that month, can enroll in DBE master's degree program by March 31, 2019 only if they have achieved, within the same term, a certain number of ECTS credits related to examinations of profit expected for the first semester of DBE. The Didactic Coordination Commissions of DBE Master's degree course has fixed the minimum number of credits to be awarded to 12 (twelve) and a list of courses delivered in the first half of the first year of course to choose from will be published soon. 01_ TUESDAY, SEPTEMBER 11, from 12,00 to 2,00 p.m.
02_ TUESDAY, SEPTEMBER 18 , from 12,00 to 2,00 p.m.
03_ TUESDAY, SEPTEMBER 25 , from 12,00 to 2,00 p.m.
04_ TUESDAY, OCTOBER 02 , from 12,00 to 2,00 p.m. It is announced that the Call for the activation of "Traineeships for training courses aimed at the orientation of the professions" has been published "POR CAMPANIA FSE 2014/2020 - ASSE III - SPECIFIC OBJECTIVE 14 Action 10.4.7 - Training courses aimed at orientation to the professions Project "Learning entrepreneurship"
The application must be submitted exclusively on-line on the website www.progettotirocinispsb.it no later than 12.00 am on 18 June 2018. PAID INTERNISHIP PROGRAMS FOR STUDENTS. On Thursday, April 26th at 2:00 pm, at the DIARC Location of Via Forno Vecchio 36, Room S.L.1.1 there will be a meeting to set up the internship program "Learning entrepreneurship". The "Tirocini 2018" Project will involve students of the Polytechnic and Basic Sciences School. Hall of the Library, 1st floor. Roberto Mango was one the most important Italian designers of the post-war age. 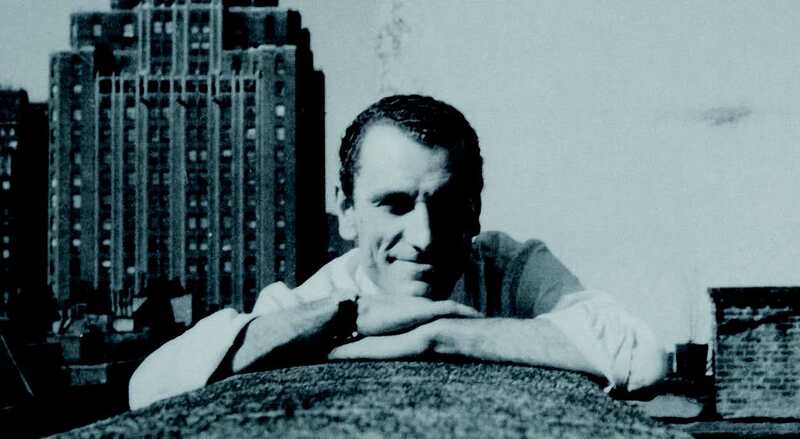 After his architecture degree got at Architecture Faculty in Naples in 1949, he moved to the United States. There he worked with some of the most famous American designers, and was at Princeton University, Columbia University, Pratt Institute of New York and Harvard Graduate School of Design. He was correspondent from the U.S.A. for the Italian architecture magazine DOMUS. 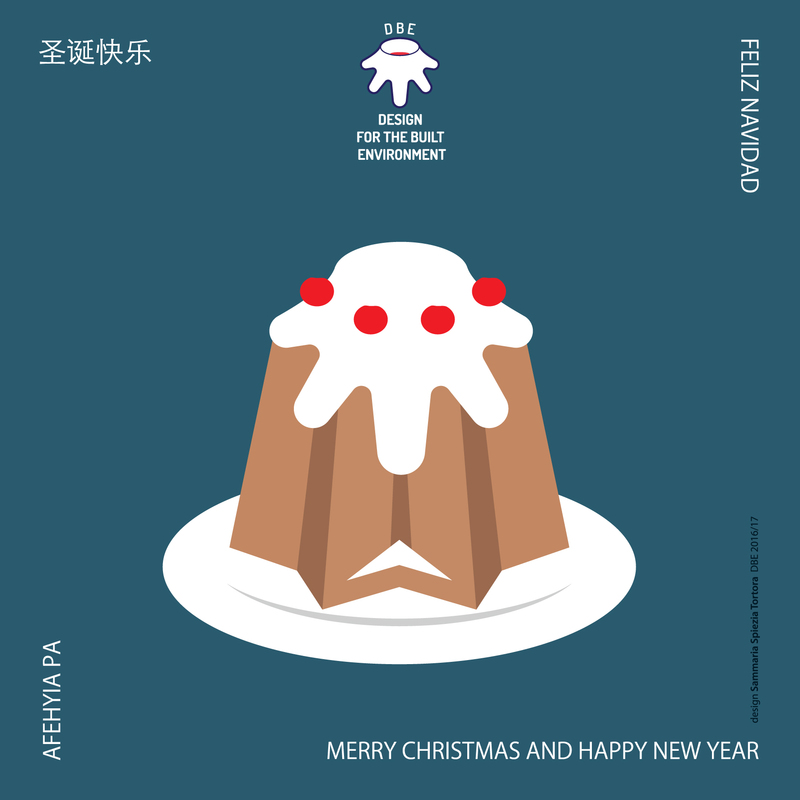 After he came back to Italy, he designed some of the most iconic products of the fifties. The exhibition is focused on the period between 1950 and 1968 when Roberto Mango became the most important link for the industrial design between Italy and the U.S.A. The specific goal of this exhibition is to match some furniture icons of the fiftiees with Mango ‘s products. 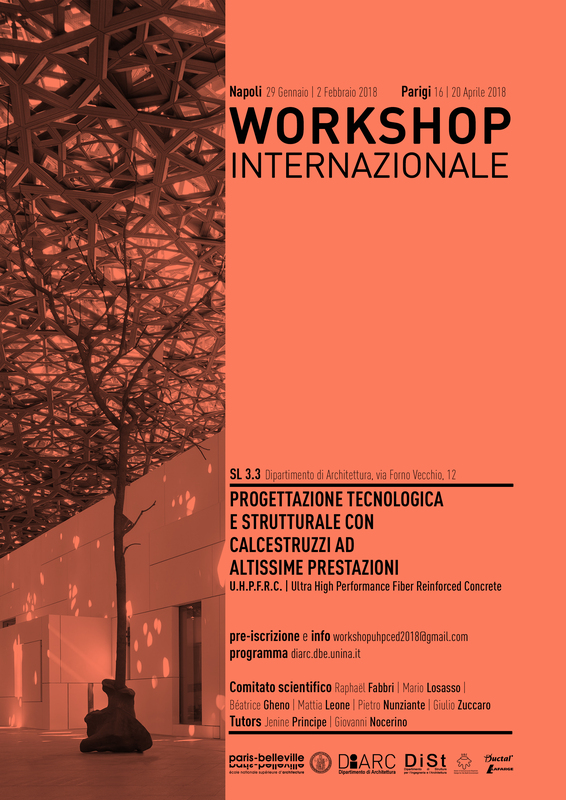 Lunedi 29 Gennaio 2018 presso l'Aula SL3.3 del Complesso dello Spirito Santo, verrà presentato il Workshop internazionale "Progettazione tecnologica e strutturale con calcestruzzi ad altissime prestazioni - UHPFRC Ultra High Performance Fiber Reinforced Concrete", organizzato in collaborazione con l'Università ENSA Paris Belleville. 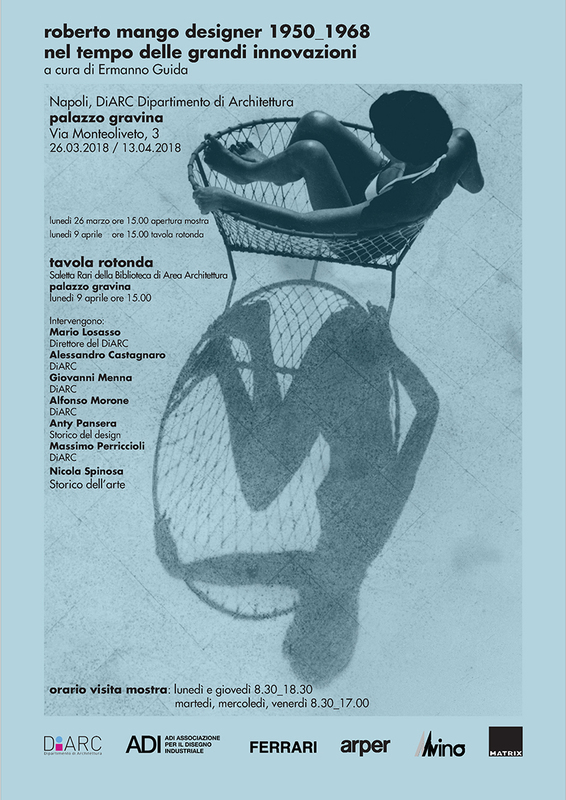 - Fase 3 (Paris / Napoli): Mostra-Convegno conclusiva. 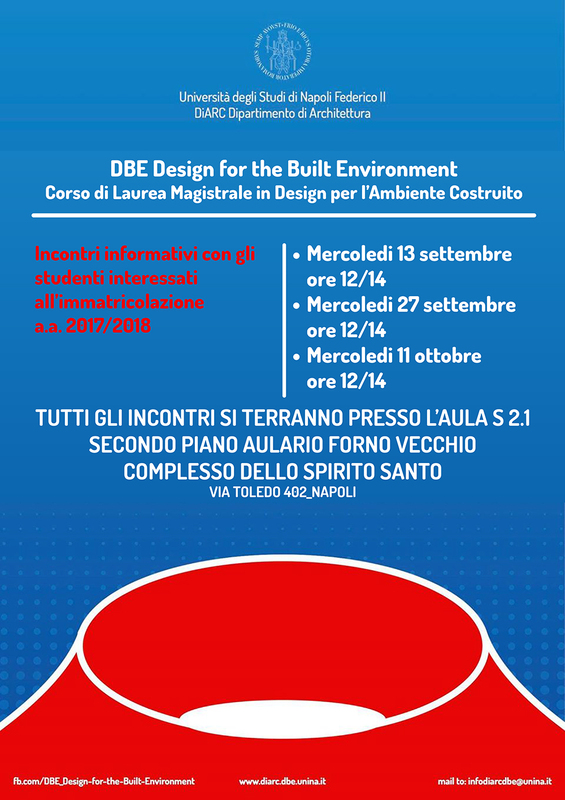 La partecipazione alla Fase 1 del workshop dà diritto al riconoscimento di 2 CFU per gli allievi dei Corsi di Laurea Magistrale in Architettura 5UE, Design per l’ambiente costruito_DBE e Progettazione Architettonica_MAPA. 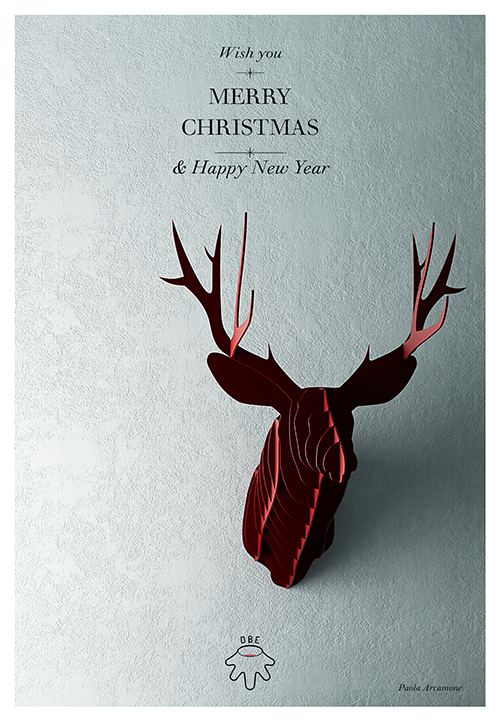 The course will be led by Ornella Formati, graphic and packaging designer. 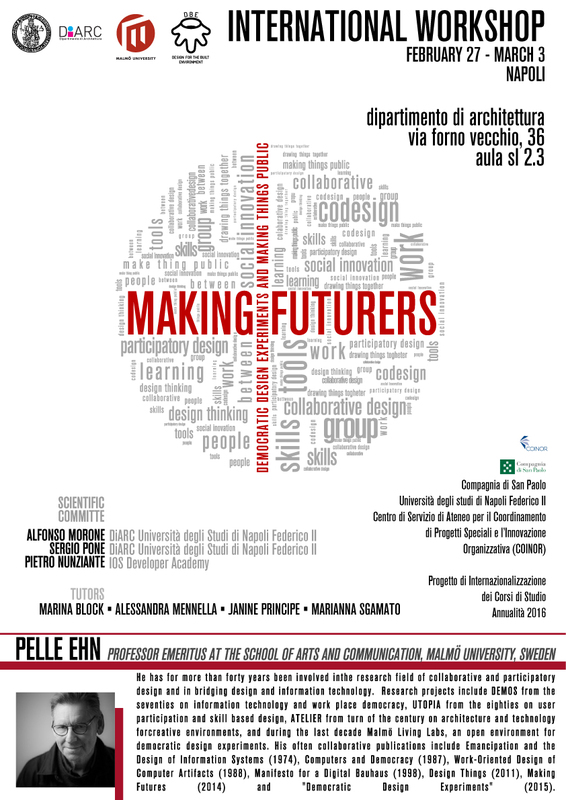 She taught industrial design at Vanvitelli University and at Academy of Fine Arts of Naples. 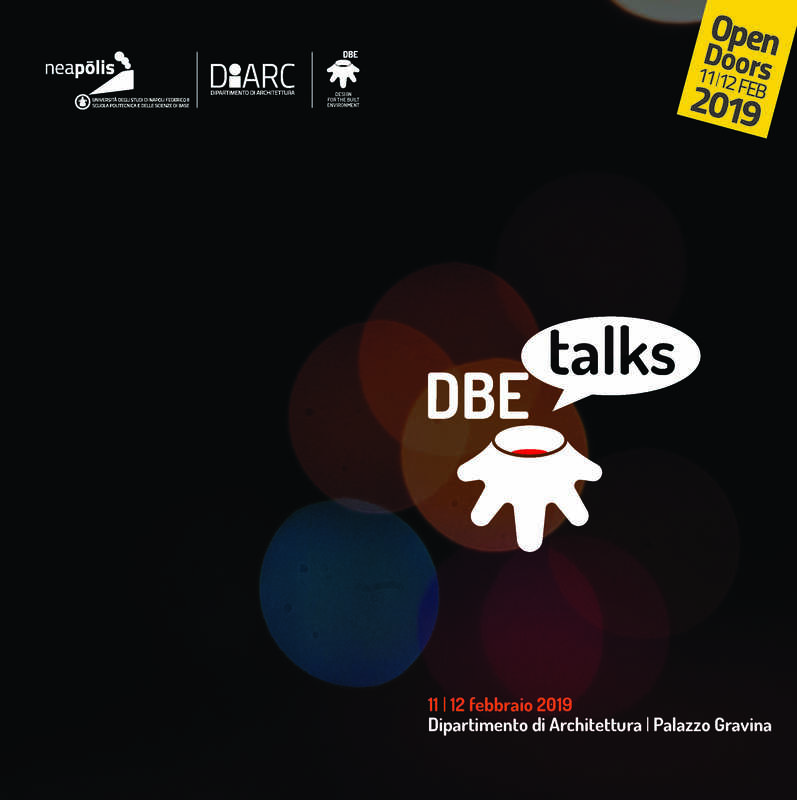 The course is open to the architecture students of the DiARC too. Consequently it will be only partly in English. Also the DBE students applying to the next academic year 2017/2018 can attend the course. 01_November 3rd 3 p.m. / 7 p.m.
02_ November 10th 3 p.m. / 7 p.m.
03_ November 24th 3 p.m. / 7 p.m.
04_ December 1st 3 p.m. / 7 p.m.
05_ December 15 st 3 p.m. / 7 p.m.
06_December 22 st 3 p.m. / 7 p.m. The applicants without Certification of English knowledge (B2) are called for an interview by a DBE Committee on Friday 27th October 2017 12,00 p.m.
Wednesday 13th September 12 a.m./ 2 p.m.
Wednesday 27 th September 12 a.m./ 2 p.m.
Roberto Mango has been one the most important Italian designers of the post-war age. The exhibition is focused on the period between 1950 and 1968 when Roberto Mango became the most important link for the industrial design between Italy and U.S.A. 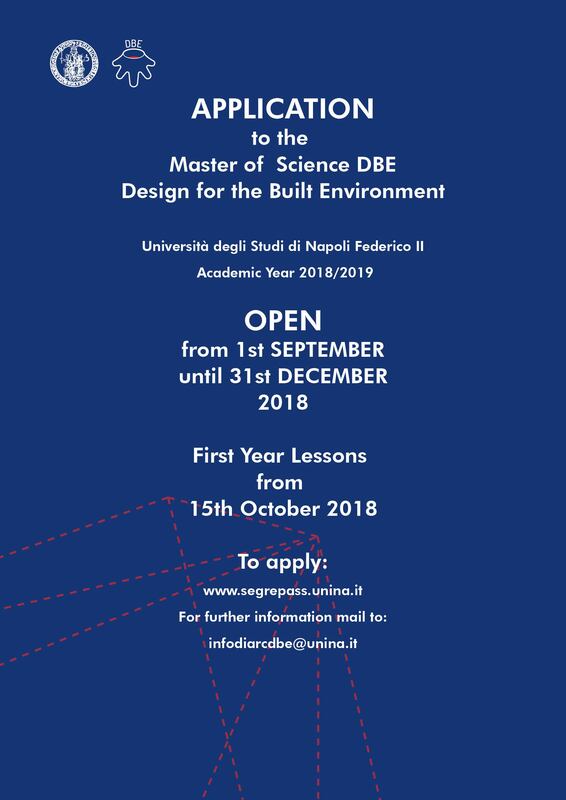 Selection for a total of 25 scholarships for all the international degree courses of the University of Naples Federico II, including the Design for the Built Environment Master Degree Course. 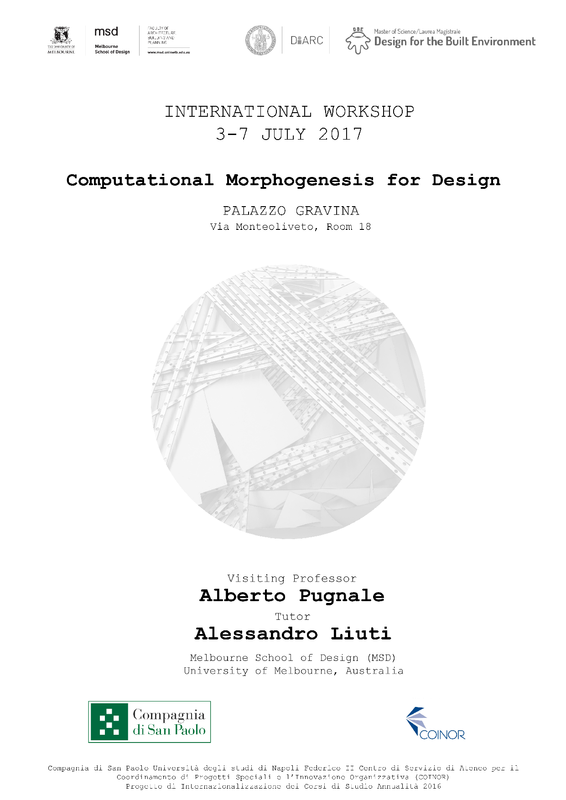 Application deadline is June 7th, 2017 at 1.00 pm (Italian Time). Recipients of the scholarship will receive a sum of Euros 2.764,98 per semester (Euros 5.529,96 per year), to partially cover their stay in Naples (please note that local taxes are not included in this amount and tuition fees need to be paid separately). On Wednesday 5th April 2017 the DiARC Students will visit “ Salone Internazionale del Mobile” (International Furniture Exhibition) . 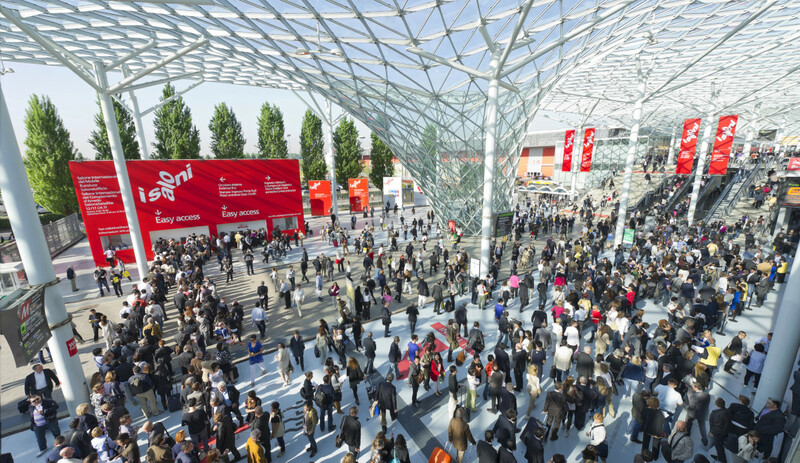 The Salone Internazionale del Mobile was founded in 1961 as a vehicle for promoting Italian furniture and furnishing exports and soon became the most keenly awaited event in the world of furniture. Approximately the visit will start at 10 a.m. on Wednesday 5th April 2017 at the Milan Fairgrounds, Rho (Milan) and it will end at 5 p.m.
A detailed schedule of the visit will be posted up on the web page of the professor Morone from the end of March. Students will get 1 ECTS (in Italian 1 CFU), after they have sent a relation related to the visit to professor Alfonso Morone. 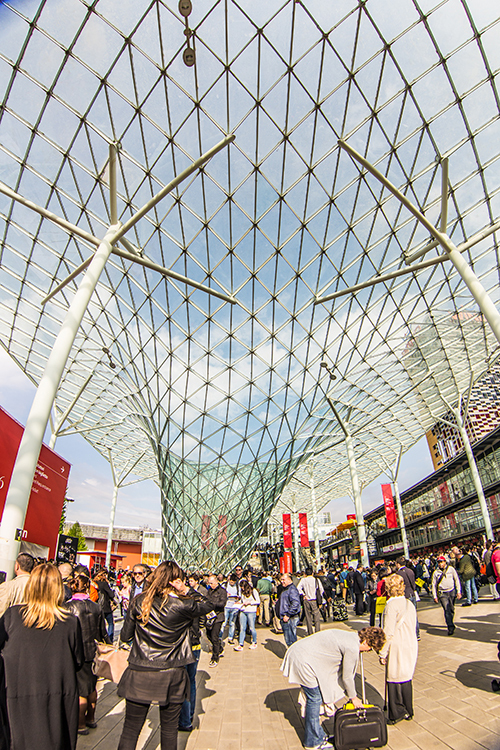 Students must arrange the trip to Milan by themselves. No collective transfer will be held. Entrance Student ticket costs 22 Euros. 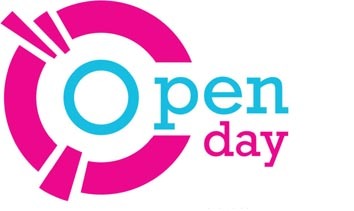 Tickets will be booked, by the DiARC organizers, when students fill the application form downloading by this page. The registration to the visit must be made from February 21st to March 16th. The payment of the entrance tickets (22 Euros) will be made by the students at the entrance of the fair on April 5th. 14 - 15 February 2017 Starting 9,30 a.m.
_Introduction to the Degree Courses and Master of Science Courses. _Exhibit of the students works. _Visits to the Department location: classrooms, laboratories, libraries. _Meetings with teachers, students and tutors. Monday 30th January 2017, 10:00 a.m. 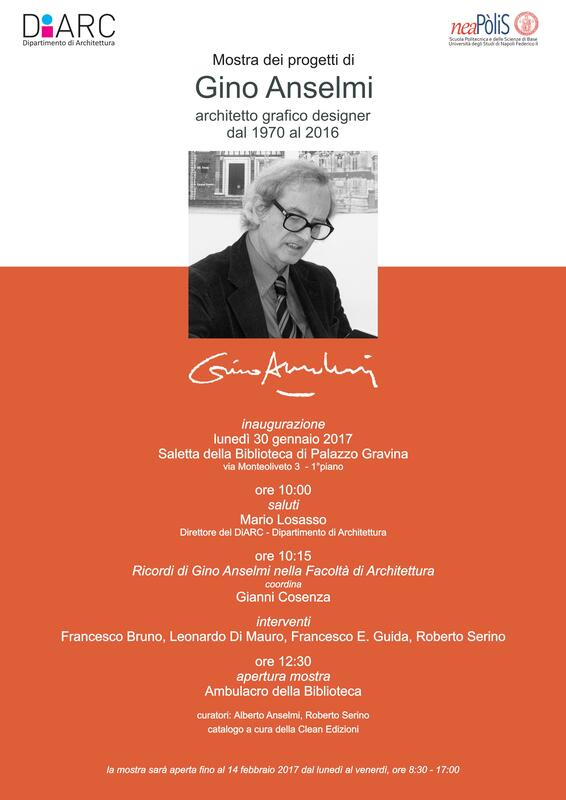 The exhibition of Gino Anselmi ?s works will open at 12:30 p.m.
One of the mythical founders of the Superstudio (Cristiano Toraldo di Francia) discusses with the authors of two recent meaningful books ("Superstudio" by Gabriele Mastrigli, and "Yona Friedman: the dilution of architectures" by Manuel Orazi). Professors from the DiARC will take part to the debate. 3th February 2017_ 9,00 a.m. 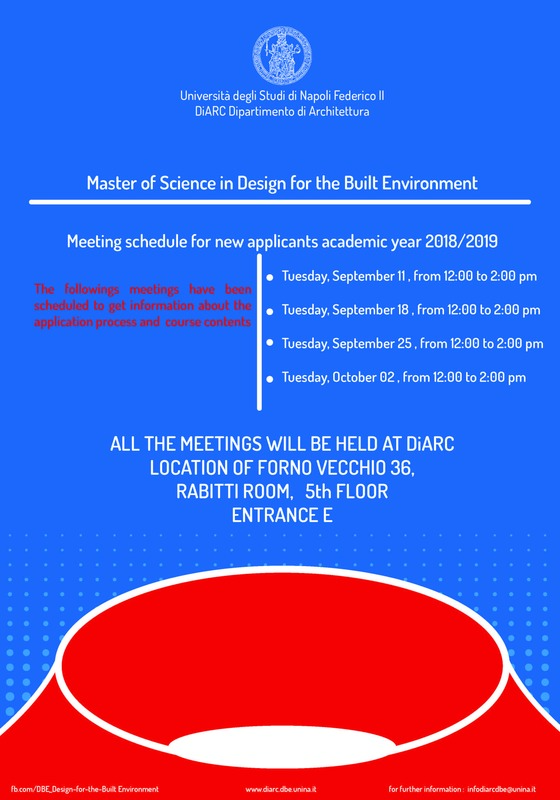 The degree program, newly established (AY 2015-16), offers a training program that leads students to the achievement of the Master of Science in Design for the Built Environment. The master degree aims to train a designer in emerging fields that express demand for advanced design skills according to sustainability. The degree program can enroll students in possession of three-year degrees in Industrial Design, Civil and Environmental Engineering, Industrial Engineering, Architectural Sciences, Sciences Physical Planning, Urbanism, Landscape and Environmental Sciences and Building Techniques. 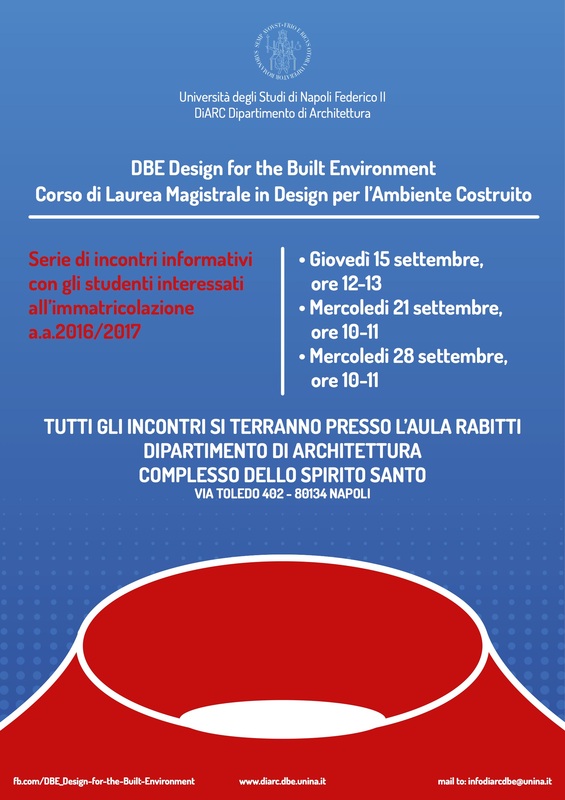 Il Corso di Laurea, di nuova istituzione (a.a. 2015-16), propone un percorso formativo che conduce gli allievi al conseguimento della Laurea Magistrale in Design per l’Ambiente Costruito. 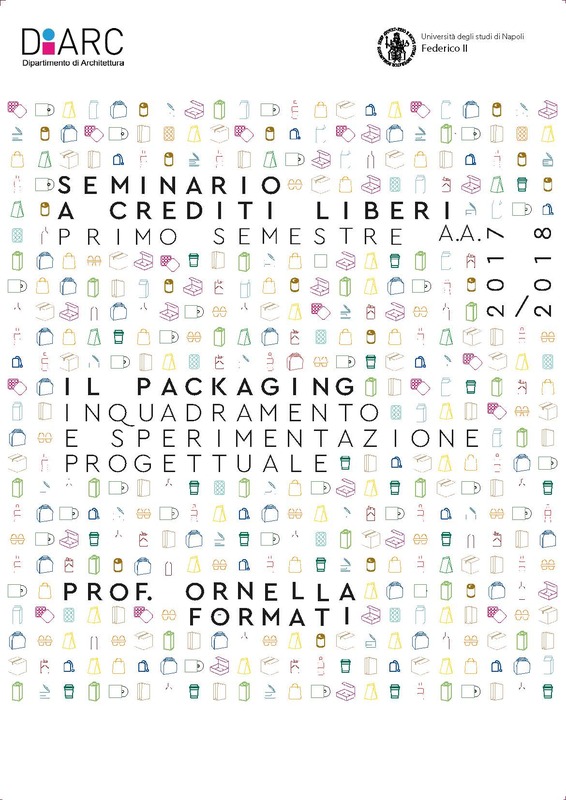 La laurea magistrale ha come obiettivo la formazione di una figura di designer nei settori emergenti che esprimono domanda di competenze progettuali avanzate secondo un approccio ecosostenibile. 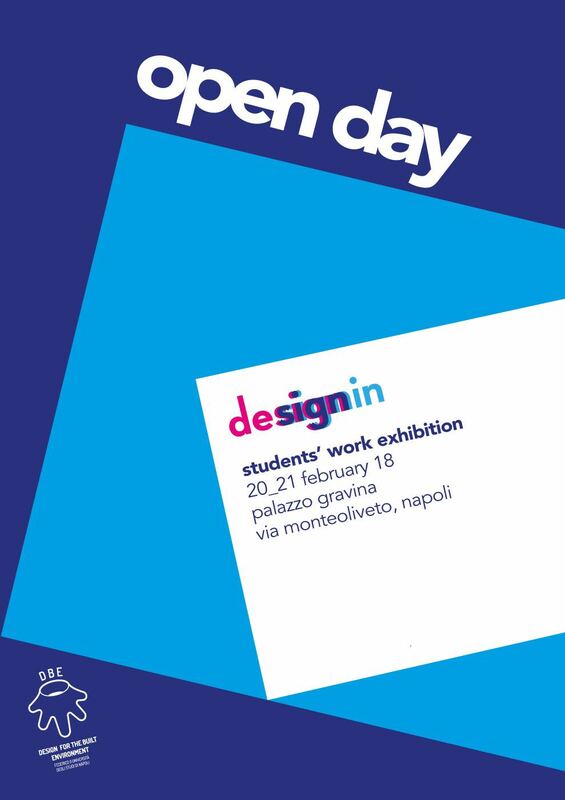 Al Corso di laurea potranno iscriversi studenti in possesso delle lauree triennali in Disegno Industriale, Ingegneria Civile e Ambientale, Ingegneria Industriale, Scienze dell'Architettura, Scienze della Pianificazione Territoriale, Urbanistica, Paesaggistica e Ambientale, Scienze e Tecniche dell'Edilizia. .